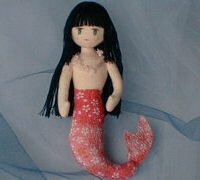 I make various dolls of mermaid and merman. I also write a fairy tale of mini dolls. Mini dolls --- Marilyn, Thorpe, Tiger and Lum-chan. How is a baby mermaid born? This is fairy tale for grown-ups. 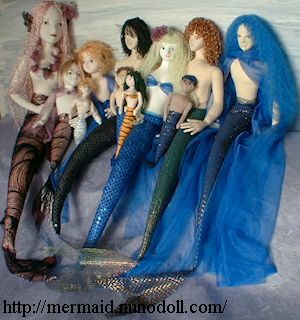 Instructions and patterns of dolls. Stuffed creatures in the sea. Easy to make. Why not make an aquarium of cloth? Mermaid costume makes you a mermaid. Boy Dolls handmade cloth doll gallery. Cloth Doll Making How to make various dolls. Sewing gloves, baby goods, cap, hat. Hanty handmade underwear for ladies. 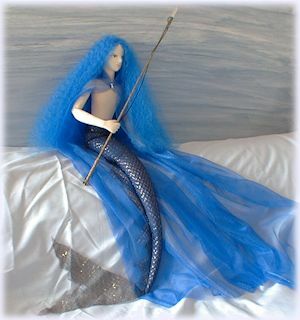 Nuno Life (blog) --- Dolls, sewing, plushies.